A majority of the population of Mauritania depends on agriculture and livestock for a livelihood, even though most of the nomads and many subsistence farmers were forced into the cities by recurrent droughts in the 1970s and 1980s. Mauritania has extensive deposits of iron ore, which account for almost 50% of total exports. The decline in world demand for this ore, however, has led to cutbacks in production. With the current rise in metal prices, gold and copper mining companies are opening mines in the interior. The nation's coastal waters are among the richest fishing areas in the world, but overexploitation by foreigners threatens this key source of revenue. The country's first deep water port opened near Nouakchott in 1986. In recent years, drought and economic mismanagement have resulted in a buildup of foreign debt. In March 1999, the government signed an agreement with a joint World Bank-International Monetary Fund mission on a $54 million enhanced structural adjustment facility (ESAF). 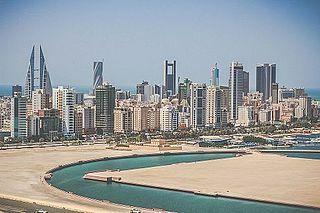 The economic objectives have been set for 1999–2002. Privatization remains one of the key issues. This is a chart of trend of gross domestic product of Mauritania at market prices estimated by the International Monetary Fund with figures in millions of Mauritanian Ougulyas. Current GDP per capita of Mauritania grew 82% in the Sixties reaching a peak growth of 166% in the Seventies. But this proved unsustainable and growth consequently scaled back to 14% in the Eighties. Finally, it shrank by 29% in the Nineties. Mean wages were $0.97 per man-hour in 2009. (PPP) 3.75 bil. 4.86 bil. 5.91 bil. 8.32 bil. 10.20 bil. 10.76 bil. 11.09 bil. 11.06 bil. 11.73 bil. 12.53 bil. 13.51 bil. 14.56 bil. 15.64 bil. 15.95 bil. 16.42 bil. 17.25 bil. In 2007, mining industries accounted for well over 35 per cent of the Mauritanian economy, with the fish industry so much as 54% (with big changes between these industries in the power relationship). Diversification of the economy into non-mining industries remains a long-term issue. Mauritania is a net importer of food, reportedly importing 70% of its domestic food needs. Nouakchott's authorities declared that the government would likely seek international arbitration, which Woodside (which operated for Hardman, BG Group, Premier Oil, ROC Oil, Fusion, Petronas, Dana Petroleum, Energy Africa and the Hydrocarbons Mauritanian Society) also contemplated. Discovered in 2002, Chinguetti has proven reserves of about 120,000,000 barrels (19,000,000 m3) of oil. At the end of December 2005, authorities estimated that in 2006, the oil profits would be 47 billion ouguiyas (about US$180 million) and represent a quarter of the state budget, according to RFI. Some U.S. oil companies are alleged to be playing a part in Mauritania's oil related corruption. ^ "World Bank forecast for Mauritania, June 2018 (p. 153)" (PDF). World Bank. Retrieved 11 September 2018. ^ "Ease of Doing Business in Mauritania". Doingbusiness.org. Retrieved 2017-01-24. ^ "Export Partners of Mauritania". CIA World Factbook. 2012. Retrieved 2013-07-28. 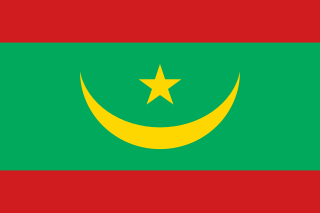 ^ "Import Partners of Mauritania". CIA World Factbook. 2012. Retrieved 2013-07-28. ^ IRIN 2008, 'MAURITANIA: Record hunger predicted in 2008', www.irinnews.org, 19 March. Retrieved on 20 March 2008. ^ "Mauritania and firm row over oil". BBC News. 2006-02-06. "Crise ouverte avec la compagnie pétrolière Woodside". Radio France International. 2006-02-06. ^ Looking Glass News. "Mauritanian coup has Bush administration[sic]/Big Oil fingerprints". Looking Glass News. Retrieved 2010-03-29. Katsarova, Ivana. "EU-Mauritania fisheries agreements" (PDF). Library Briefing. Library of the European Parliament. Retrieved 17 June 2013. Boutilimit lies 164 km south east of Mauritania's capital of Nouakchott. The town has been an important center of religious scholarship and training since its founding by an Islamic mystic and scholar in the 19th Century. Although desertification has sapped much of the community's economic energy, it remains the most important center of religious training in Mauritania. Its Qur'anic school is known for its library of manuscripts, set up by Shaykh Sidiyya "al-Kabir" (1774–1868), which is second only to the collection found in the ancient Mauritanian city of Chinguetti. A unique copy of a grammar by Averroes was recently found there. China–Mauritania relations refer to the bilateral relations between China and Mauritania. China and Mauritania established diplomatic relations on July 19, 1965. India–Mauritania relations refers to the international relations that exist between India and Mauritania.